By converting nearly T8 fluorescent fixtures to Type B TLEDs, along with converting a number of incandescent lights to LEDs, Beth’s Fudge was able to receive an energy efficiency rebate of almost $1,200 for their efforts. Grand Marais Art Colony converted a number of outdated fluorescent lamps with energy efficient TLEDs. 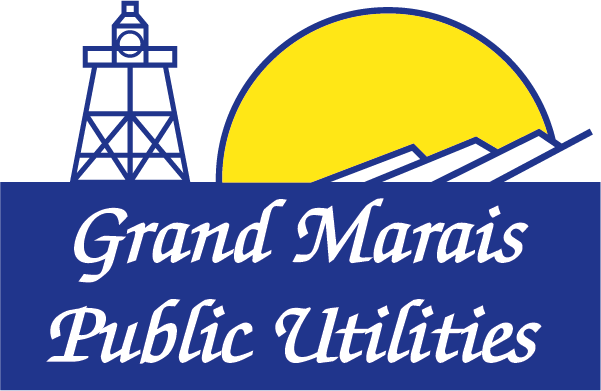 As a result, Grand Marais Art Colony was awarded $200 in rebates from the utility for their efforts. Cook County Community Center converted much of the indoor facility lighting to LEDs resulting in a significant reduction of energy consumption. The conversion will save more than 46,000 kWh/year and resulted in over $6,500 in energy efficiency rebates from the utility. By simply swapping a lower-wattage LED for each incandescent replaced, Sivertson Gallery reduced its electric consumption by about 57,000 kWh/year and received a utility lighting rebate of more than $1,500 for their energy efficiency efforts. Swapping out a number of inefficient fluorescent and incandescent lighting for LEDs resulted in electric savings of more than 13,000 kWh/year and a utility lighting rebate of over $500. North Shore Hospital received an energy efficiency rebate check for nearly $57,000 from Grand Marais Public Utilities primarily for LED lighting improvements incorporated into the hospital. The check presentation was part of a larger community celebration and re-dedication of the newly renovated and expanded hospital.